How does publishing new website and blog content help generate more sales? We look at ten ways it can help do just that, why content marketing is more of a long-term strategy, and why content is only as good as your creativity and thoughtful plan of action to implement and capitalize on it. Having more high quality, targeted content on your website allows you to rank for more keyword phrases important for businesses. This can help fuel your search engine rankings and boost website traffic. Even Google’s head of Webspam Matt Cutts said so in the video below. External links pointing to your web pages are still a critical factor in allowing website’s to rank in Google’s search algorithm. Producing high quality, interesting content provides opportunities for more external links pointing to your website. SEO can be a cost-effective, powerful tactic to attract the customers you want. Links to your website can also generate referral traffic to your site. 3. Social Media Shares and Engagement. Website content also helps boost the number of posts, engagement, and sharing on your social media. This can help build your brand’s organic following and also provides opportunities for paid social media advertising. 4. Build Your Email List/Email Marketing. Increasing your website and social media traffic can also help augment your email subscriber list. 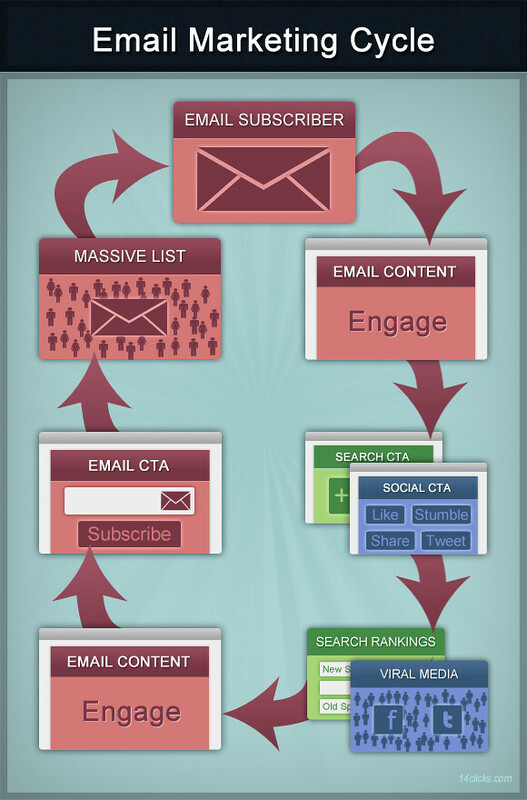 This allows you do email marketing with a larger list and leverage its impact. Whether it is for a free ebook, newsletter, or alerts, gaining email subscribers is important. As Google and Facebook’s organic algorithms continue to evolve and change, it is increasingly clear that relying on large “free” traffic sources for your business is unreliable and is a vulnerability. Quality content can be used for social media advertising, search engine advertising, and other paid distribution channels such as Outbrain and Taboola to amplify it’s reach. Rich content that is interesting and engaging helps build the public perception of your company and brand awareness. By promoting your top content on social media, email marketing, paid advertising, or through outreach, you can create a powerful force to propel your brand. People do business and buy from company’s they know, like and trust. With all the deceit, spam, and unsavory business practices out there, earning customer trust is crucial for developing lasting relationships. By providing valuable, useful information, you can build the level of trust with customers and clients and elevate your brand. 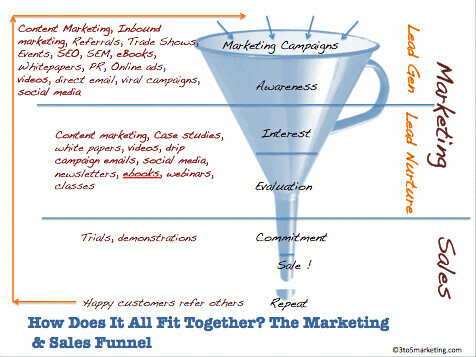 The people your content reaches are at different stages of the marketing funnel. Some may be established, regular customers while others may have not heard of your business before, while others may be making a first visit, a return visit, or are at other points in the discovery and buying process. Content marketing alone is not likely to lead to a sharp spike upward in calls to your business. Many business owners want rapid results from their marketing, but that approach can be shortsighted. What you really want to avoid is abandonment. That’s why it’s important to stay in regular contact and be visible to your audience. Quality content can provide the positive visitor experience your company can build upon and keep the funnel full. As you publish more content on your website, you can evaluate it’s performance and use the information for content ideas, a better understanding of your users, and which topics and keywords are important for your business. You will also have more information from your social networks, email, and other sources of analytics to gain a competitive advantage and implement strategies that drive sales. 10. Take Advantage of Conversion Opportunities. More visitors can lead to more chances to convert them into customers. This opportunity needs to be seized, which makes evaluating your conversion rates though testing and tools such as Google Analytics, heat mapping software, and other services critical. They can help provide the information you need to make design, programming, and content changes to increase conversion rates. The benefits of blogging don’t end here. There are many other abilities to capitalize on it’s assets including having a larger audience for contests and promotions, events, off-line marketing, and gaining more customer testimonials and word-of-mouth referrals. Content marketing can provide a real boon for business when integrated effectively with other marketing channels. It’s important to have a holistic marketing approach as focusing on only producing the content and not putting as much or more emphasis on promoting it through different mediums is half-hearted. Test which mediums work best for your business and look for ways you can enhance it’s impact. Distributing content through different mediums also diversifies your traffic sources so you are as reliant on one marketing channel or tactic for your audience. Content produced for one medium can also be repurposed for different uses even augmenting offline marketing efforts such as print newsletters. Content is much more than just written articles. It can be an image, graphic, video, Q&A, ebook, PowerPoint, or many other formats. Whichever form it takes, content is only as good as the quality, focused intent, and ability to distribute it effectively to a targeted audience.